The new hyper-reality experience, Star Wars: Secrets of the Empire by ILMxLAB and The VOID, has opened at Disney Springs. Star Wars: Secrets of the Empire will transport guests deep into the Star Wars universe, walking freely and untethered throughout the multi-sensory experience with friends and family. In groups of four, teams will go undercover as stormtroopers to capture Imperial intelligence vital to the budding rebellion’s survival. 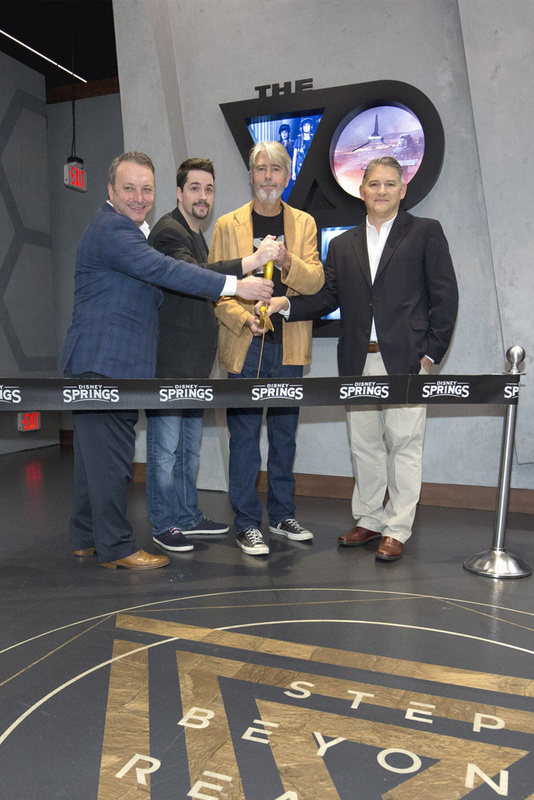 Star Wars: Secrets of the Empire officially opened at Disney Springs following a ribbon cutting with (l-r): Keith Bradford, Vice President, Disney Springs; Mark Miller, Executive Creative Producer, ILMxLAB; Curtis Hickman, Co-Founder and Chief Creative Officer, The VOID; and Cliff Plumer, CEO, The VOID. Guests visiting Disney Springs at Walt Disney World Resort in Florida can buy tickets now for the experience. Tickets are available now at TheVOID.com.